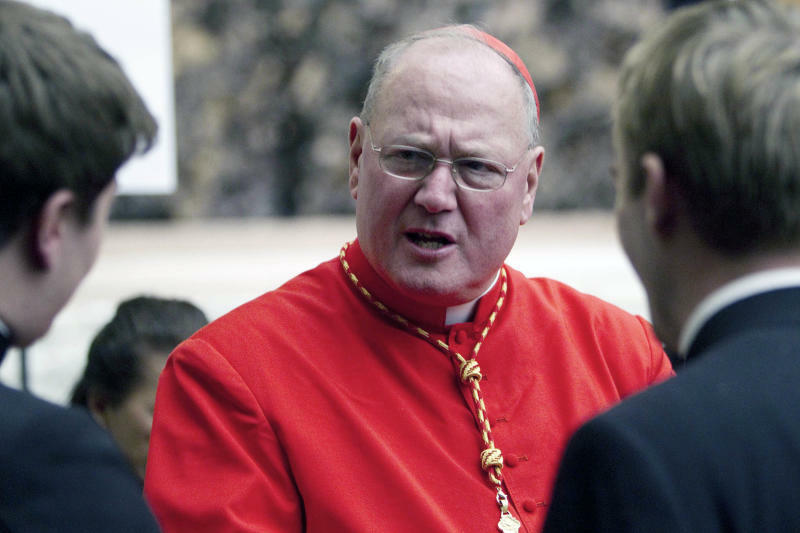 NEW YORK (AP) — Cardinal Timothy Dolan, the archbishop of New York, was deposed Wednesday about abuse cases against Roman Catholic clergy in the Archdiocese of Milwaukee, which he led from 2002 until 2009. Frank LoCoco, an attorney for the Milwaukee Archdiocese, and Jeff Anderson, a plaintiffs' attorney, confirmed the cardinal was deposed. Both Dolan and Mahony will soon be in Rome to participate in the conclave that will elect a successor to Pope Benedict XVI, who is resigning. Pressure has been building in Italy for Mahony to bow out of the conclave; however, Mahony has indicated in postings on his blog and Twitter accounts that he will participate in the papal election. The Los Angeles Archdiocese this month released thousands of pages under court order from the confidential personnel files of more than 120 accused clergy. The files show that Mahony and other top archdiocese officials maneuvered behind the scenes to shield accused priests and protect the church from a growing scandal while keeping parishioners in the dark. LoCoco said in a phone interview with The Associated Press that Dolan was asked about his decision to publicize the names of priests who molested children. "The names were published so that people would come forward, share their story and begin what Cardinal Dolan and all those involved would be a healing process," LoCoco said. Dolan's deposition was first reported by The New York Times. Additional church officials deposed in connection with the bankruptcy and lawsuits include another former Milwaukee archbishop, Rembert Weakland; a retired auxiliary bishop; an archdiocese official who helps victims; the archdiocesan chancellor; and others, according to LoCoco and a spokesman for the Milwaukee archdiocese. The Milwaukee Archdiocese recently said it was going broke. Its legal and other fees have reached nearly $9 million, according to court filings. Advocates for victims have accused the archdiocese of trying to shield assets by transferring millions of dollars separately into a cemetery trust fund and a parish fund several years ago. Dolan is the president of the U.S. Conference of Catholic Bishops. His name has come up on some Vatican analysts' lists of cardinals who could be elected in the upcoming conclave, though he is considered a longshot. Joseph Zwilling, a spokesman for the New York Archdiocese, said Dolan had long-awaited the chance to discuss his decision to publicize the names as part of his efforts to help victims. "He has indicated over the past two years that he was eager to cooperate in whatever way he could," Zwilling said in a statement.